The other day when I was talking with some friends we were discussing our top five favorite nail polishes. Naturally I had to sit down and think about it. I decided that I was kind of interested in what I gravitated toward the most and also I wanted an excuse to pull out all my bottles and gaze at the prettiness (don’t judge!). Then I decided I should share with YOU my beloved readers what those favorites are. Because these are polishes I have purchased over time some of them may be discontinued (SORRY!) however, I’ll note if they are still a currently available color in my review! Like all nail polish addicts I’m a fickle junkie, so I think I’ll revisit this topic in a few months and keep sharing this with you on a seasonal or quarterly basis maybe? Let me know if you would be interested in that! Without further ado and in no particular order, here are my top five faves! 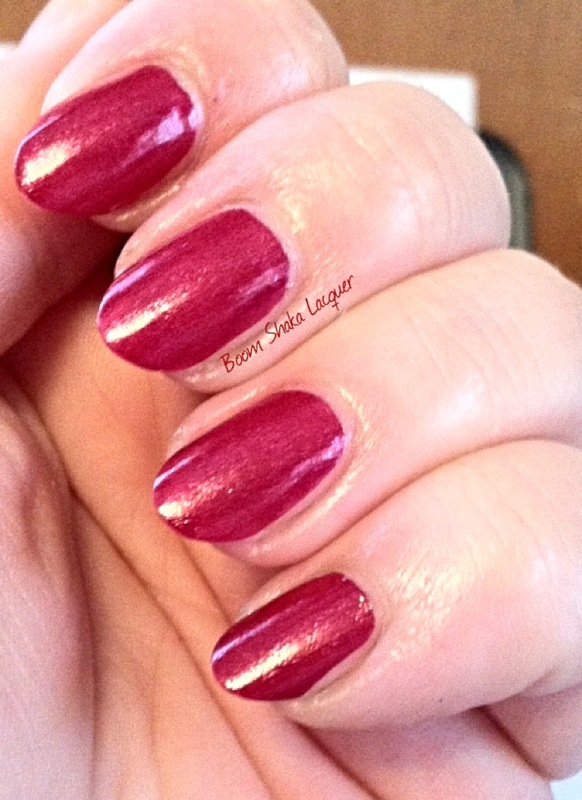 This is a pink leaning berry red – it’s not really as red as you might expect but more of a light raspberry color. However, just like berries this color is juicy and delicious! To top off what is truly an amazing formula there is a swirl of diamond dust. That’s right I said DIAMOND dust! Talk about luxurious! Ooo la la! This picture is one coat – ONE COAT!! SOUND THE ALARMS we have a ONE COAT WONDER! I didn’t top coat this one but I did wear a base coat but when I removed it there was no pesky staining even though it is just mega-saturated with color. Excuse me while I have a fangirl moment. This polish is based on an episode of Doctor Who, which is my ALL TIME FAVORITE show EVER. Yes I intended to yell there, if I could have made the font larger I WOULD have! To even further increase my love of this polish it is one of Kyoti’s “Polishes with a Purpose” which are polishes that she developed to show support for a particular cause and some of the proceeds of the purchase of this special line of polishes goes to charity! 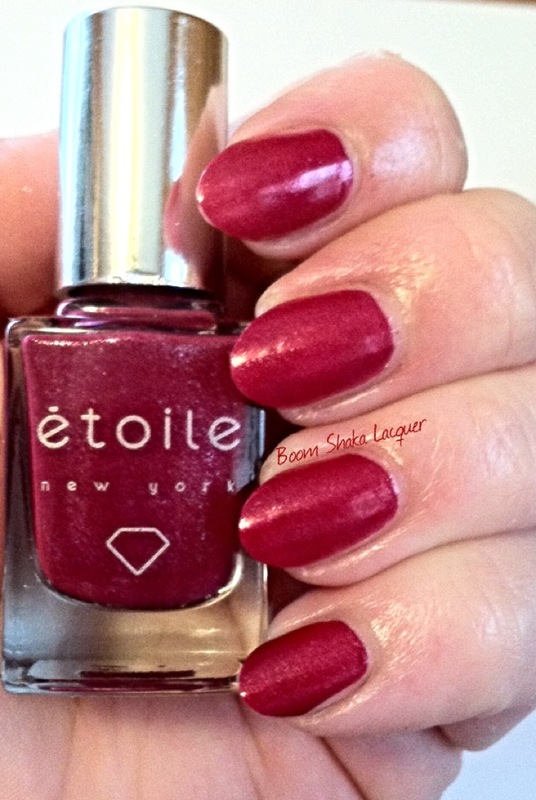 This polish is discontinued (SORRY!) but it is still in my top five favorite. 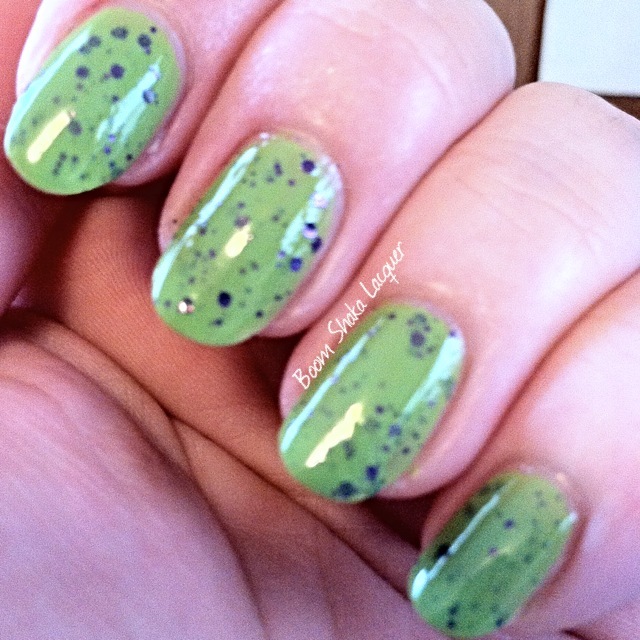 This polish was created to support and increase awareness for mental illness. I don’t know anyone who hasn’t been affected in some way, either themselves or someone close to them, by mental illness. I myself struggle with depression as do a number of my family members. 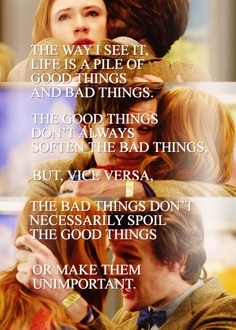 It is also based on one of my favorite quotes from the Doctor. 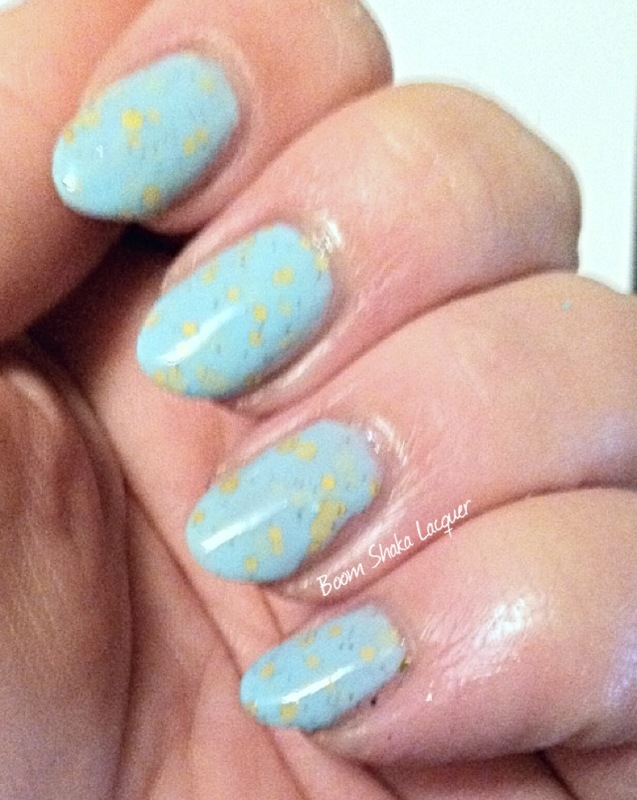 This polish is a beautiful soft blue crelly and it is sprinkled with multi-sized gold hexes and tiny copper glitters. It goes on with all the ease that I’ve come to expect from Lucky 13 and I adore it. It just makes me feel good when I wear it. OH.MY.HECK! Ok so, Digital Nails was my first indie brand polish. I *heart* Digital Nails so much! Every polish I have ordered from her I love and adore! This is my favorite Digital Nails polish that I own (I’m sure if I owned more another might top it but for now this one holds the top spot). Let me tell you a funny story about this polish. While I was making my very first order my aunt and I were looking at all the pretty colors and I needed to order one more to get a free shipping deal so I asked her to pick one. She picked Double Rainicorn and I was sort of “meh” about it. I thought it was pretty but not my cup of tea! Boy oh boy am I ever glad I listened to my aunt – online pictures of this massive glitter bomb do NOT do it justice. 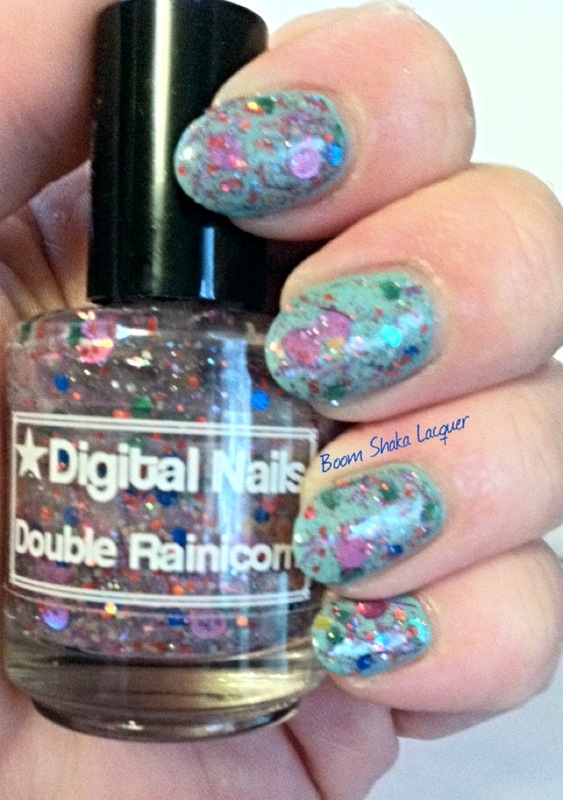 My dear readers you are IN LUCK because not only is Double Rainicorn still a current polish but it is even IN STOCK! I highly recommend it! 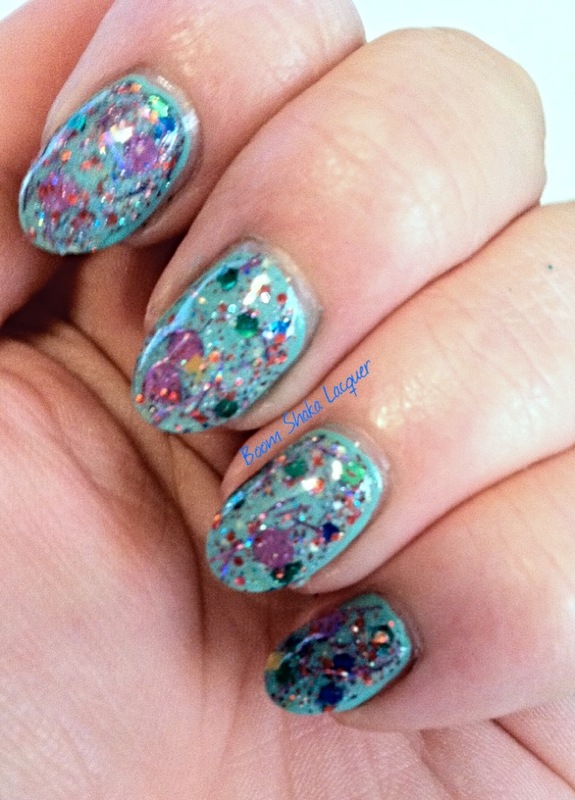 If you love glitter this polish is for you! 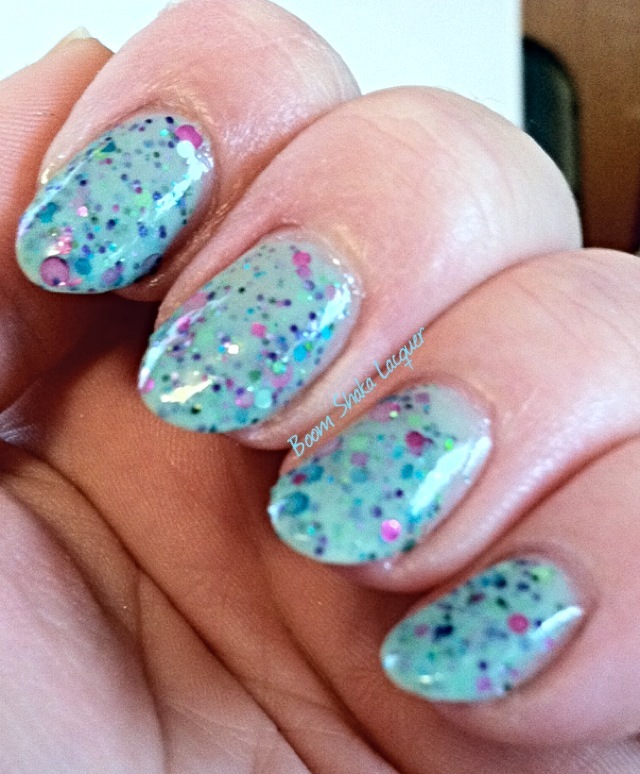 Double Rainicorn is a clear based glitter topper and it is packed with all sorts of glitter and shimmer. There are multi-sized yellow squares, blue and green hexes, red hexes, silver shimmer, red microglitter, red bar glitters, and my favorite GIANT pink holographic circles! This is a bit of a challenge to put on I’ll admit – it works best dabbed over a base color but the glitter payoff is huge. These photos show little to no manipulation of glitter once dabbed and I didn’t have to do a whole lot of fishing either even for those big circles. Also, I’ve had this one for awhile so there was a wee bit of settling, but honestly I’ve come to expect that from glitter polishes and turning it upside down for 10-15 minutes before applying sorts all that out! 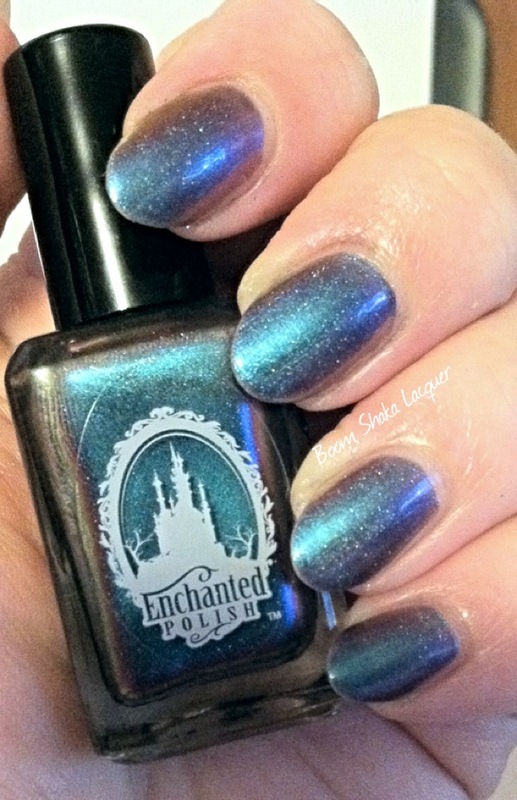 I love the Enchanted Polish lacquers that I own, but none so much as Magical Mystery Tour. It is part of the Imagine collection which is as far as I’m aware still a current collection but as with all EPs it could be discontinued with the drop of a hat and they are as scarce as raindrops in hell. This was my first EP and up until I owned it I didn’t understand what all the hullabaloo (I just wanted to say hullabaloo…Score! I used it twice!) was all about and then I won my first EP from the lovely Jini over at MakeUpMom123 and I was hooked. 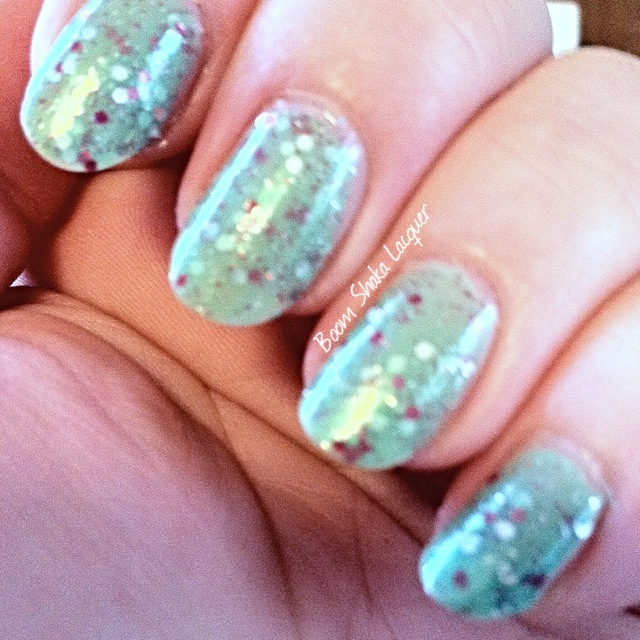 Magical Mystery Tour is a lovely color shifting polish with a very slight bit of holographic shimmer. The polish shifts from indigo, to emerald, to dark purplish pink. My camera totally freaked out at it, so I was unable to truly capture the color shift, but trust me when I tell you that it is AH-mazing! Seriously. I had to own a polish named Princess Breath I just HAD to! 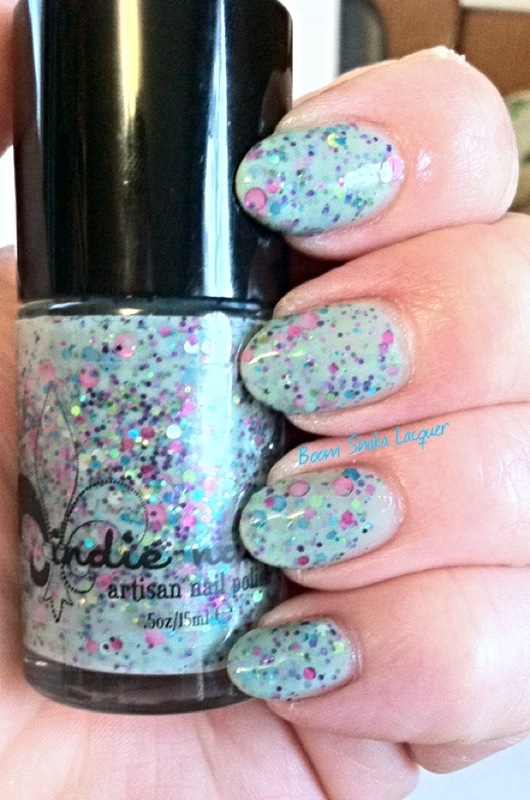 It was the first polish that attracted me to Jindie Nails (even though it wasn’t the first Jindie I ever got). It is stunningly beautiful and if I had to imagine a princess’s breath in a visual way, I have to say it would look like this! I believe that this is part of her core collection and has not been discontinued though it is not available on her site right now. Jindie is also available at Llarowe and Harlow and Co.
Princess Breath is a GORGEOUS teal leaning blue crelly polish packed with hexes and dots in all sorts of metallic colors, pink, lime green, blue in various sizes. I love Jindie’s crellies they are just ah-mazing!! This was a very easy polish to apply, sometimes glitter heavy crelly polishes can be challenging but this one just wasn’t, photos show two coats with little to no manipulation of glitter and absolutely no fishing or dabbing. 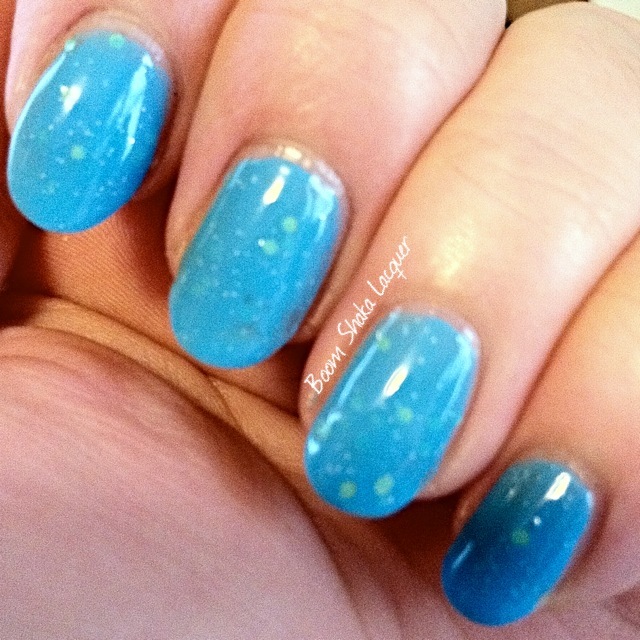 This entry was posted on November 10, 2013, in Digital Nails, Enchanted Polish, Indie Polish, Jindie Nails, Lucky 13 Lacquer. 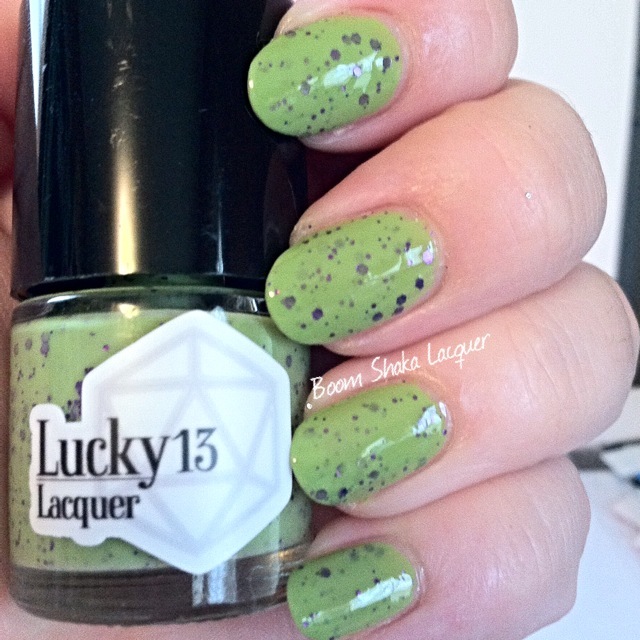 Me: I totes blame YOU for my growing obsession with Lucky 13 Lacquers. Mishka: LOL! I’ll gladly take full responsibility for that. See? I’m fully above board on this one. Never let it be said that I wasn’t. Please allow me introduce you to Teal Me I’m Pretty. I literally just gaze at the bottle and tell it it’s pretty because it IS. This polish is inspired by Kaylee from Firefly, and may I just say it’s “shiny”. If you haven’t watched Firefly then shame on you, go do it now, I’ll wait. Ok no, I won’t wait but just trust me and go watch it. 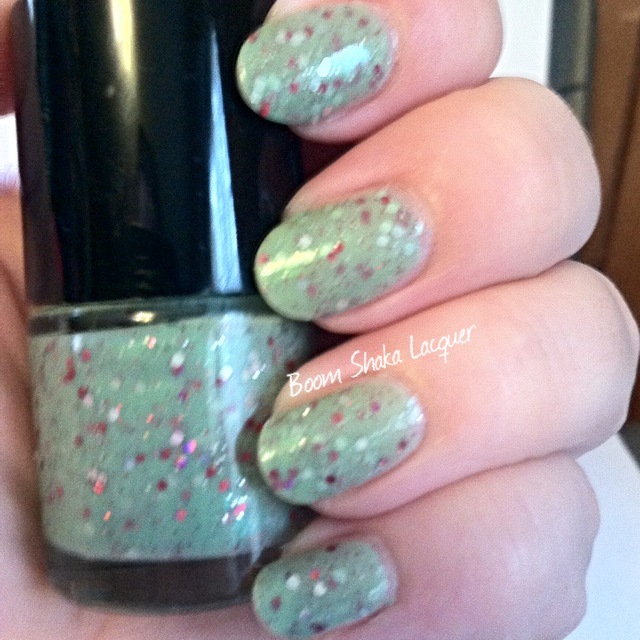 Teal Me I’m Pretty is a deep, gently blackened teal jelly with multi-colored medium and small hex glitters sprinkled throughout. The glitters totally remind me of cupcake sprinkles for some reason, I don’t know why but I love it! Just look at this stunner. The glitter spread was really nice with no pesky clumping or need to manipulate them in any fashion in order to lay right or look good on the nail. Mishka: She does. I caught her doing it one day. Me: I KNEW IT!!! 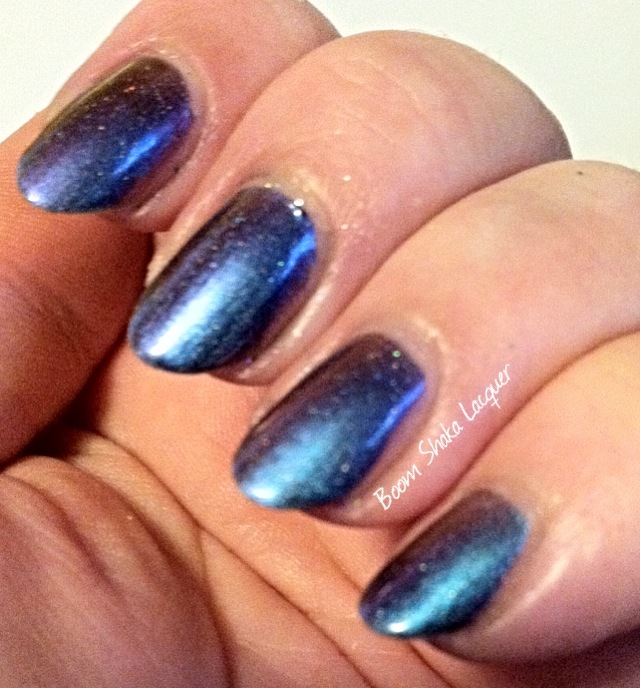 Why else would lacquers with SO MUCH GLITTER lay flat without Glitter Food or some other such top coat? Magic. Mishka: I think she was trained by unicorns. I haven’t been able to get her to admit it. But I think it’s the truth. Me: Now that you say it, it seems so obvious. As you can see this theory is supported by outside evidence. So to get your own bottle of magic (though I don’t think you can get this particular shade anymore after this week so if you want your own bottle of Teal Me I’m Pretty then, RUN RUN RUN!) 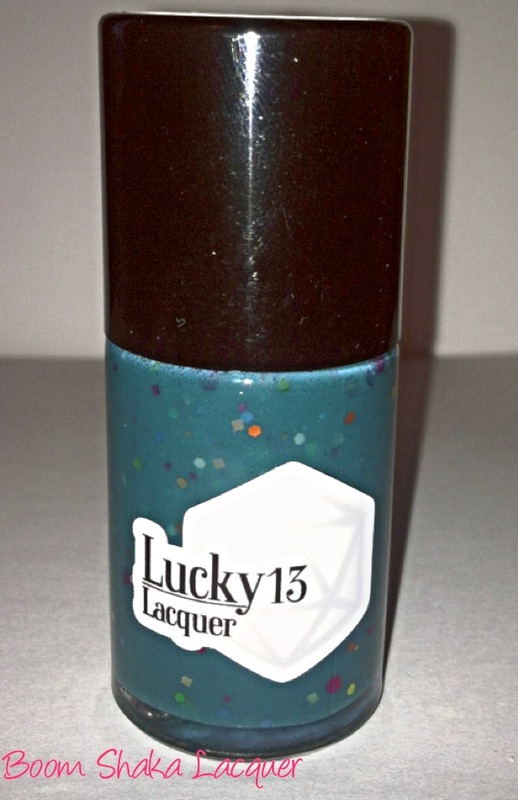 you can visit Lucky 13 Lacquer’s site and you can also keep up to date on all the happenin’s on her facebook page. 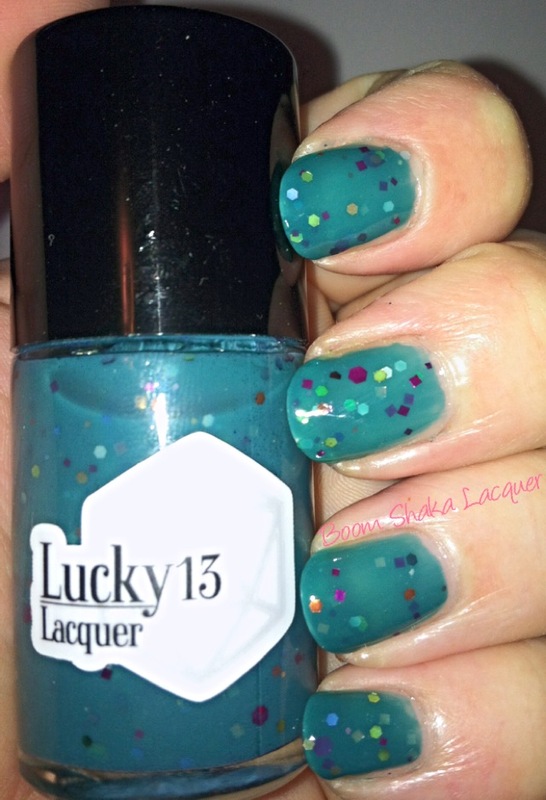 So do YOU own any Lucky 13 Lacquer? Tell me how much you love it – or share pics of your manis on my facebook page! P.S. 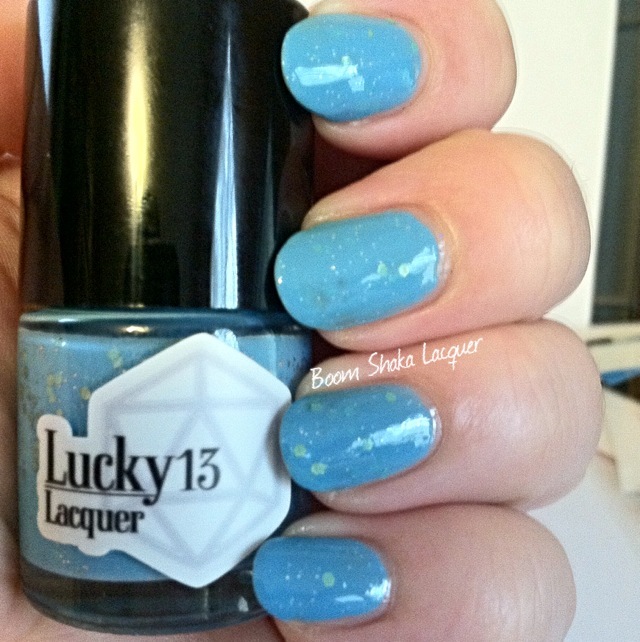 Lucky 13 Lacquer is having an AMAZING giveaway right now! 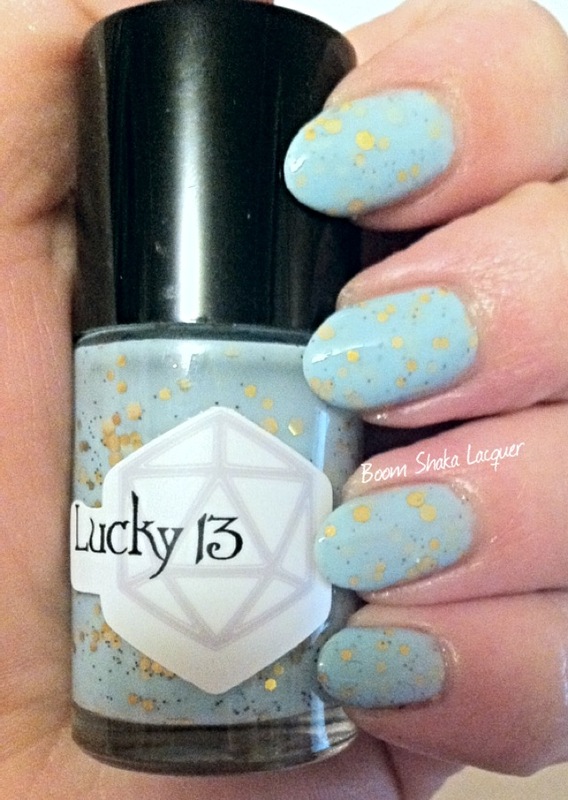 You can visit Lucky 13’s blog and enter to win an entire Nightmare collection in the shortie size (which is a super generous size in my opinion, I love her shortie size better than any other brand’s mini)!!! Run, don’t walk, and enter to win!